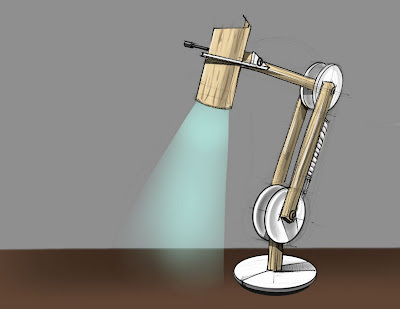 Much of our recent discussion and sketching has begun to focus on the E27 based lamps. 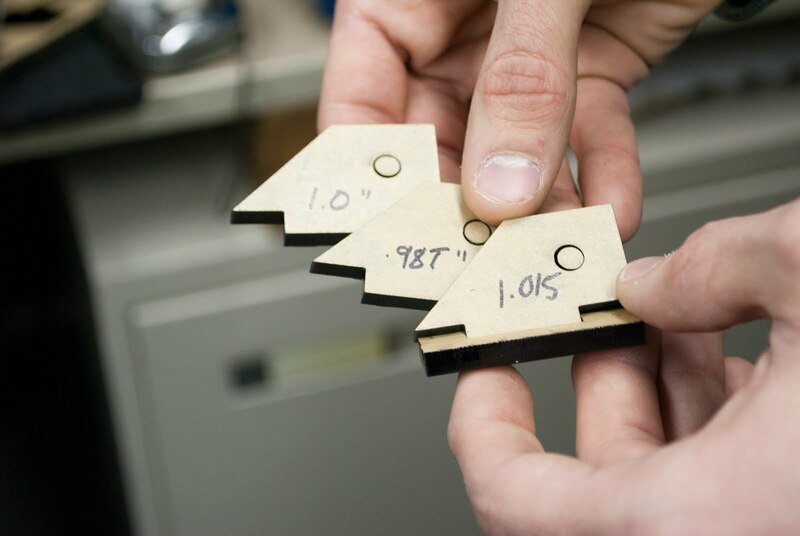 In an effort to create a seamless DIY process that we should stick to a standard. It allows for a range of bulb choices (incandescent, CFL, LED) , relatively simple wiring, and a wide selection of available componentry that will allow for modification and exploration. We have spent time talking about what is need to construct a lamp and why some of the most practical and iconic lamps look the way they do. In able to create a predictable and adaptable lighting environment, the light source must be properly supported and controlled. 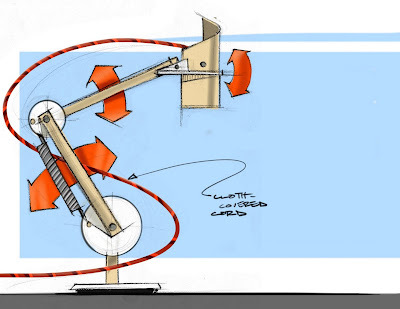 The 4 bar mechanisms facilitates movement in the Z-axis while a swivel base allows rotation in the XY plane. The arm reaches out from the elbow holding the head; when the system is tensioned with the proper spring rates the lamp will firmly hold the bulb in place, until repositioned by the user. Some refinement sketches done with some Prismacolor pencils. They are scanned and brought into SketchbookPro. Alternative side view. Beginning to see what the lighting scenarios might look like. Cool blue LED bulb? As well as doing some sketching, we also made a trip to PS1, and fired up the laser cutter! 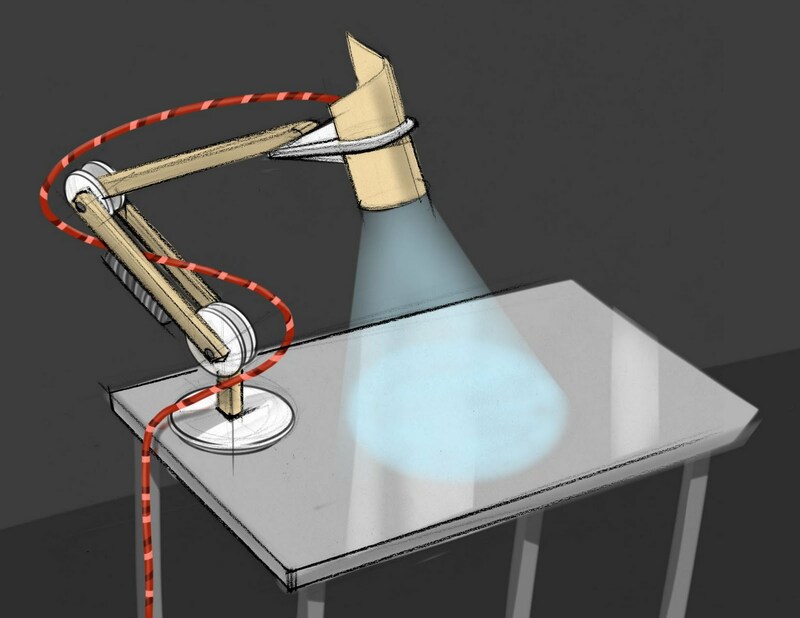 We are going to make a prototype of the lamp in the rendering. Fed and I have worked through some more rough CAD in Rhino and are starting to experiment with scrap acrylic material. We need to figure out the tolerances of this machine and how they effect the fitment of our parts. If we do it right, everything will snap, bolt, and screw together nicely. Ease of assembly! 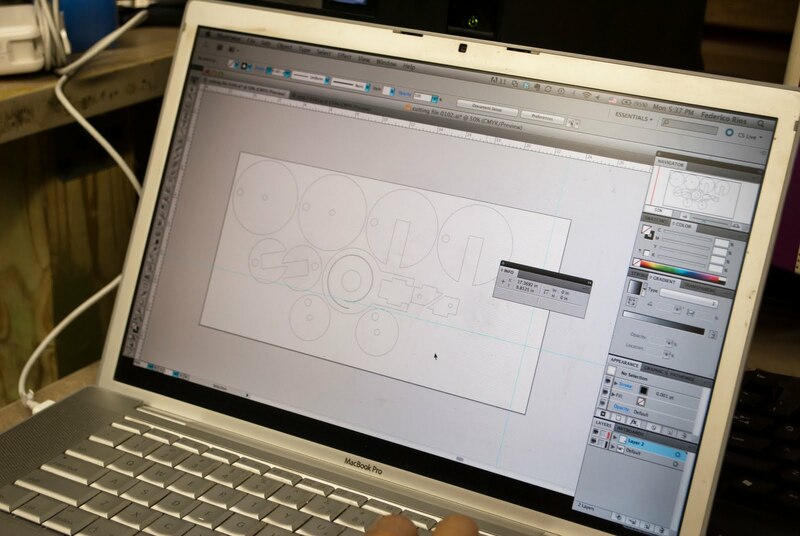 From Rhino we export vector line work of our parts to be cut and arrange them in Illustrator. We make a canvas as big as our piece of material and then its a bit like Tetris getting them all on. Once arranged we send the file over to the laser and hit Go! 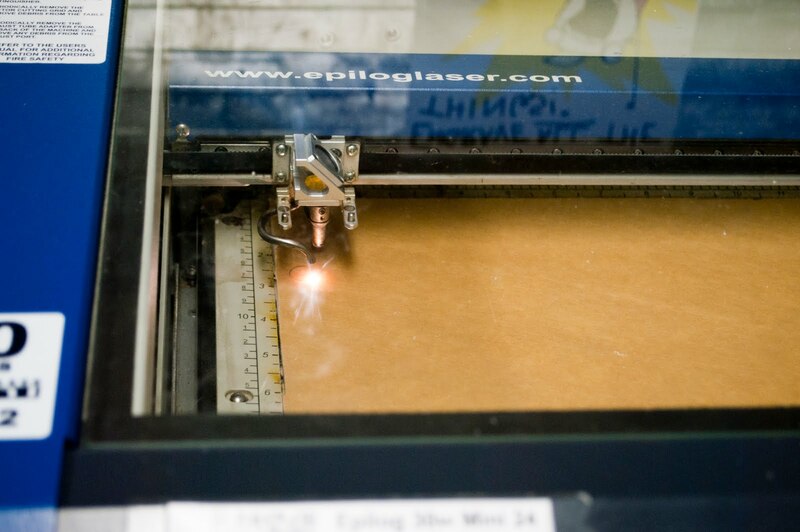 Check back again to see how we made out once the acrylic fumes settled.